Can I send freight directly to Lansing Center? If there is a service decorator and your booth has a great deal of freight, you will need to contact them for handling. If you have a small amount of freight and you want to ship it directly Lansing Center, make sure you have the name of the event and the exhibitor, as well as the booth number (if known) labelled on the boxes or pallets. Lansing Center has no area for long term storage, so shipments should be received within 48 hours of the event. If the shipment has to be sent early, please arrange with the service decorator for storage and delivery. What is Lansing Center’s weapons policy? The weapons policy for all LEPFA properties is as follows: Carrying guns, pistols, or other weapons is prohibited, except (1) as specifically permitted by law or (2) exempt from local regulation by law. How do I load in and load out and where can I do it? Load in and load out are very easily accessible through our exhibitor loading dock area located off of South Cedar, north of Michigan Avenue. You will work with your event coordinator to schedule load in and out times and the necessary labor that will be needed. Security personnel are used to facilitate traffic with the area and also to ensure the safety and security of Lansing Center clients. Do you offer security? Will it be required? Security is always available at cost for any event that requests it. Event planners can work with our event coordinator to obtain a quote for security service. Security personnel are required by the facility, at customer cost, for any function that has bar services attached to it, such as wedding receptions. One security personnel per 100 people is the requirement, with a possible security supervisor assigned as the number of attendees increases. Security personnel are paid on a four hour minimum basis. Your event coordinator can help determine what will be needed. How much are vendor tables? There is a cost associated with vendor tables. Those costs vary depending on whether or not the table is covered with linen, has skirting attached or is just a plain table. Your event coordinator is the best guide for these costs depending on what you would like to do, but you may view our equipment rental pricing. Is there a charge for Wi-Fi? Lansing Center offers a wireless network access to all building attendees. The cost varies depending on the speed needed. If you are an event planner, your event coordinator can help you determine what will work best for you and also obtain a discounted quote for large groups. Attendees and exhibitors, please open your device's browser and follow the prompts to pay with a credit card and receive a password to begin using our Wi-Fi service. Do you charge for electric? Yes there is a charge for electric access. Your event coordinator can help you determine what you will need and the cost associated with it. Credentials identifying Client’s staff, exhibitors, etc. will be the responsibility of the Client. How do I arrange my booth setup? 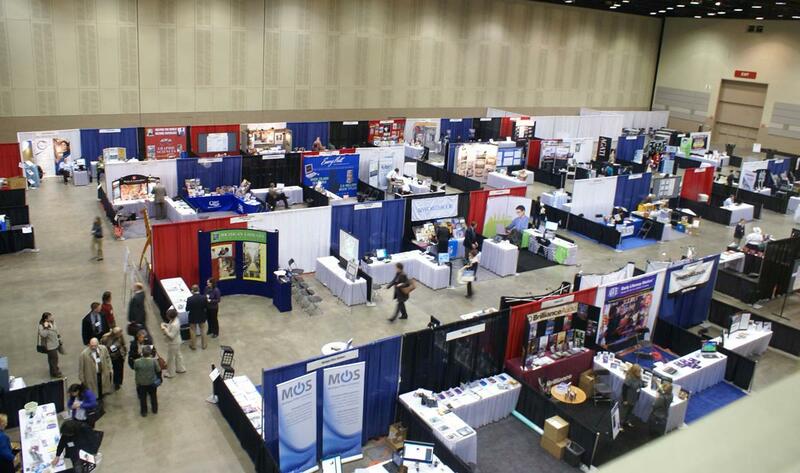 Please contact your trade show contact for any information you may need about booth setup. Do you offer security for exhibitors? Please contact your trade show contact for any information you may need in regards to security of your booth or the exhibit area.